The garden is a space where green is the main theme. Yet we don't merely need to cover the garden or terrace in this hue to make a charming outdoor area. 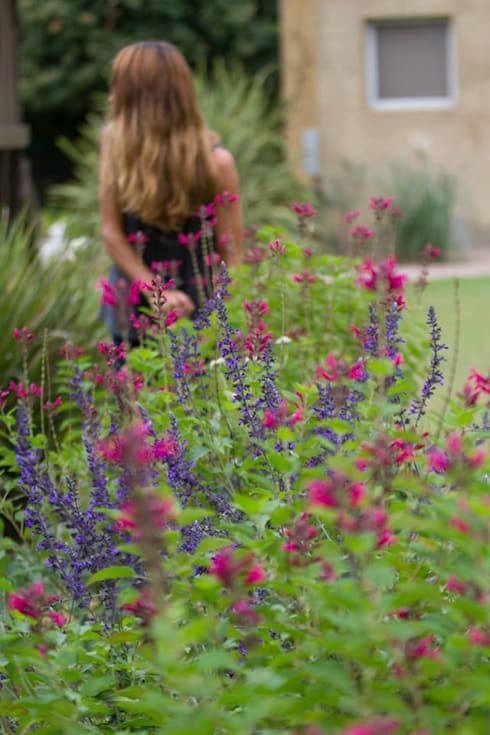 There are a host of other touches that you can give your garden in order to make it a tempting place to start your day, or relax once you are done for the evening. Read on and follow these six inspiring tips to create a garden haven with more than just greenery! Use natural materials like river grass and other such elements to create a whimsical fence or wall. This creates a natural ambience in the garden and makes for plenty of privacy as well. 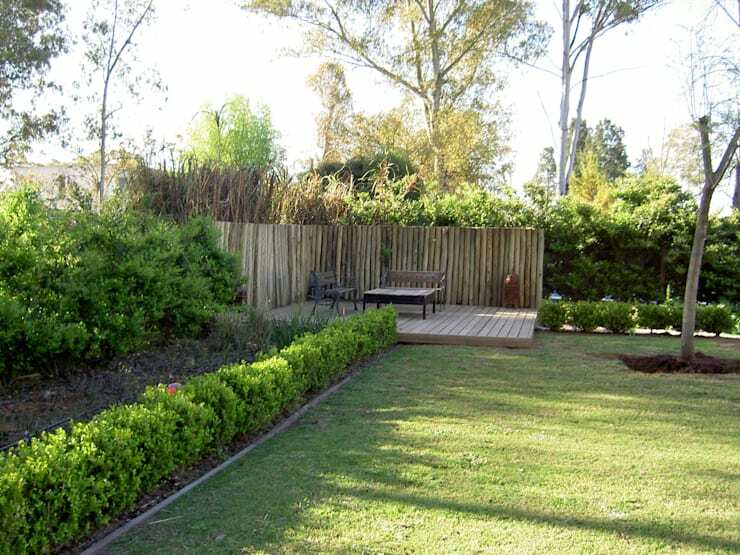 You can line this fence with lots of shrubs and tall trees for extra privacy and a calming feel. The fence can also be built with wood or tall trees that cut the wind, creating a cocoon-like environment. You can use water to shape your space, adding a blue dimension to the garden. 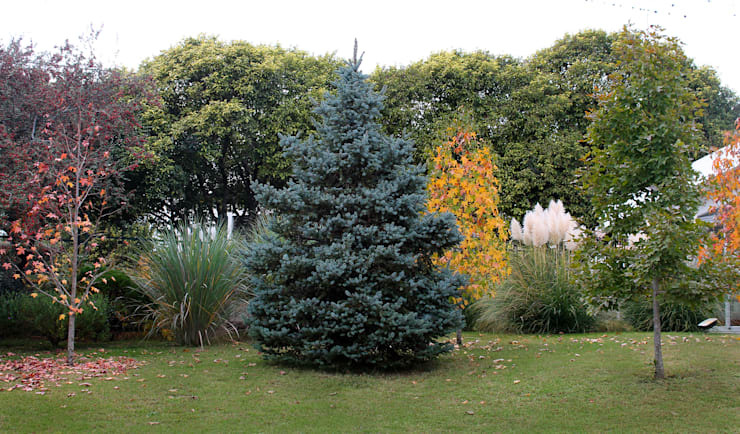 It will ensure that there is a cool and calming feel to your outdoor patch. With water, you can actually define your space and create a pond to be used for rainwater harvesting, as well as for watering the plants. 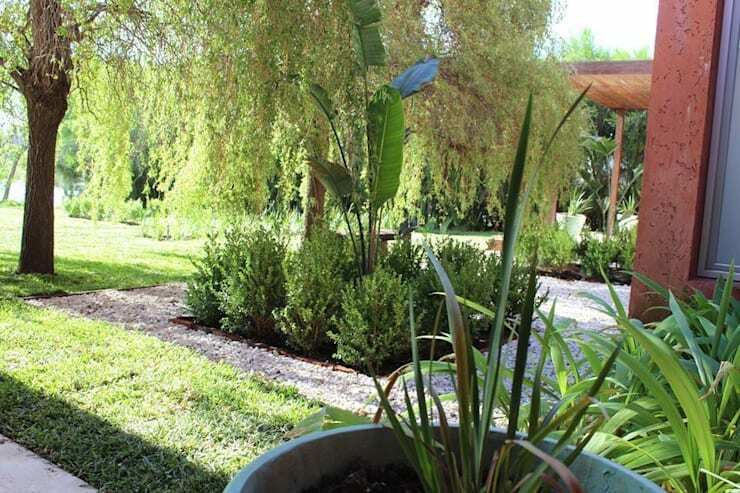 This beautiful garden was created by the landscape architects at Baires Green. Add lots of colour to your space even if you don't have a profusion of flowering plants, as these will only bear flowers during a particular season. Introduce hardy and all-season shrubs that will sprout bright flowers, making your space look lush and vibrant. Play with varying heights and layer them in well-planned beds for a wholesome and well-designed look. 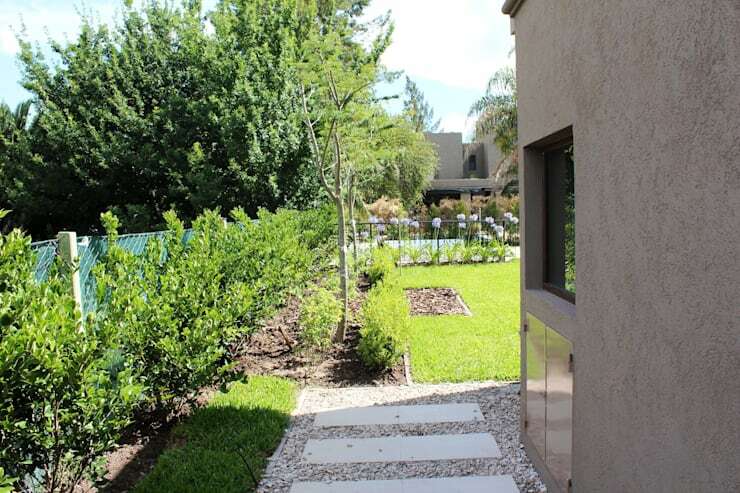 Plan the vegetation of your garden depending on the space. For example, you may want to stay away from tall trees when it comes to a simple terrace, but opt for taller trees if you have a large green garden or backyard. So remember to layer with a height that will be proportionate to the rest of the home as well. The pathway that runs through the garden usually leads up to the front door, porch or a pergola. Depending on where you want it to go, chart a path using stones or bricks and layer the sides with flowers and short shrubbery to ensure you create an interesting look. 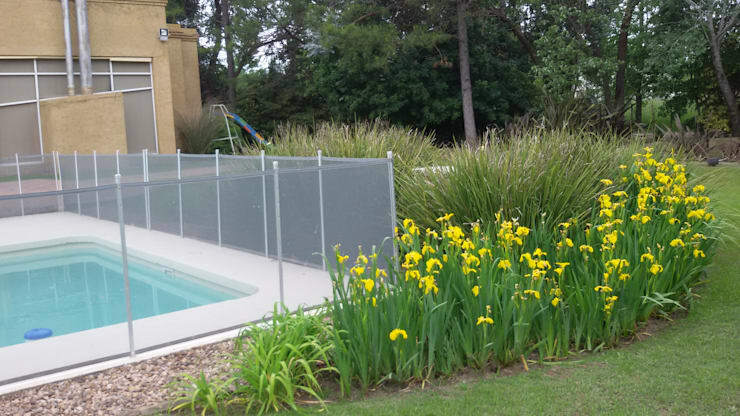 Keep safety as the first priority by planning fences around areas like the swimming pool or pond, as well as the top tier of a tree house. Ensure that you use material which is within your budget and meets your requirements. In this regard, you can opt for wire, glass and other kinds of material. In the mood for more outdoor inspiration? Check out 15 planters perfect for small courtyards.